There is now a new fork of sph-sgminer by djm34 optimized for higher performance for the NIST5 algorithm used by Talkcoin (source) that relies on the same kernel optimization method used by the x11mod fork by lasybear. 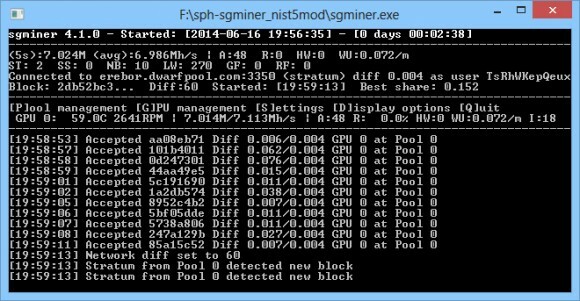 This new fork of sgminer does improve significantly the performance you can get and our tests have shown that with it we are getting about 7 MHS hashrate mining TalkCoin (TAC) on Radeon R9 280X up from about 4 MHS with the previously available sgminer for TalkCoin that we have tried. We have compiled a windows binary from the source, so you can download and try it yourself as well and you might want to be fast while the price of TAC is still quite high. Talkcoin (TAC) is an interesting new crypto currency that uses a NIST5 algorithm (BLAKE – Grøstl – JH – Keccak – Skein), so it needs special miner in order to be mined. Here is a version of sgminer 4.1.0 especially for mining the Talkcoin (TAC) on GPU for Windows (source), though it should be able to support other NIST5-based crypto coins. Mining Talkcoin with the miner on Radeon R9 280X GPU we are getting about 4 MHS in terms of hashrate, so the hashrate is higher than for Scrypt for example and the algorithm seems to be lighter for the video card, it is cooler when mining on AMD, but that could be due to not so optimized kernel yet. 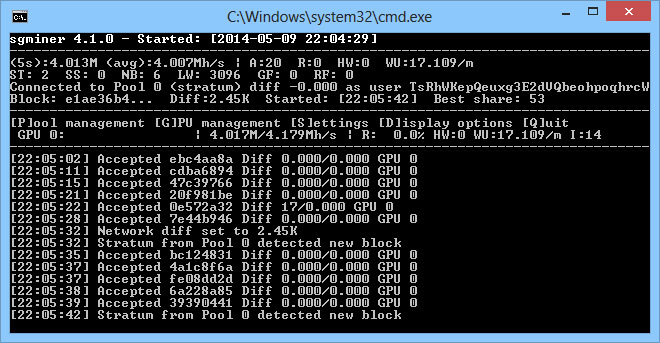 Below you can download a windows binary of the miner for mining on AMD OpenCL-based graphic cards.